A team of representatives from the Higher Learning Commission will visit Southern West Virginia Community and Technical College on April 22-24, 2013. While on our campuses, the peer review team will hold meetings with students, faculty, staff, and community leaders as they determine whether the College is meeting its mission through the curricular and co-curricular offerings as published in public documents and observed through practices and policies. Please click here to view the Peer Review Team Comprehensive Visit Itinerary. Dr. Sally Winship currently serves as Vice President Emerita of Workforce, Community, and Economic Development at Johnson County Community College in Lee Summit, Missouri. She previously held the positions of President of the Center for Business and Technology, Dean of Continuing Education and Community Development, Assistant Dean of Science, Health Care, and Math, and Program Coordinator for Dental Hygiene at Johnson County Community College. An experienced and certified HLC PEAQ team chair, Dr. Winship received the 2003 South Central Regional Leadership Award from the National Council for Continuing Education and Training. She is the past chair and board member of the Overland Park Economic Development Council, past chair and board member of Overland Park Convention and Visitor’s Bureau, past chair of the Lenexa Chamber of Commerce, and past president of the National Alliance of Community and Technical Colleges. Ms. Beth Adams has served as the Dean of Students at Central Lakes College in Brainerd, Minnesota since 2011. She previously served as Vice President of Student Services at Lake Superior College, Dean of Students at Laurentian Community and Technical College, Director of Student Services and Academic Affairs at Mesabi Range Community and Technical College, and Director of Student Support Services at Mesabi Community College in Virginia. Ms. Adams has 19 years of experience as chief student services officer on four different campuses in the Minnesota State Colleges and Universities system. 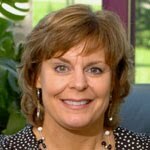 Ms. Jane Harper has served as Executive Director of Finance and Administration at Ivy Tech Community College of Indiana in Lafayette, Indiana since 2003. Ms. Harper previously served as Senior Business Manager and Grants Administrator at Perdue University from 1998 to 2003, and as Financial Aid Administrator at Indiana Vocational Technical College-Lafayette from 1992-1996. Dr. Bill Lamb has been the Vice President of Academic Affairs at Kirkwood Community College in Cedar Rapids, Iowa since 2007. He came to Kirkwood Community College after 19 years at Johnson County Community College in Kansas City, where he served as Dean of Science and Mathematics. Prior to that position, Dr. Lamb served as a department chair at Coffeyville Community College. He has been involved in education in Kansas community colleges since 1977.